I am research professor of American Studies and English with special interests in Transnational American Studies and all areas of Life Writing. These fields have implications for inter- and transdisciplinary methods as well as an extension of American literature and culture beyond the boundaries of the Continental United States. In this sense I pursue the transatlantic and transpacific reaches of the classical canon of literary and cultural works from the 18th to the 21st century and recognize new authors and new lines of transnational affiliations established by multiple migrations from different parts of the world. In these planetary efforts I cooperate with colleagues in Europe, the Americas, Australia, and China. As part of my research professorship, I participate in the DFG Research Training Group on “Life Sciences, Life Writing: Experiences at the Boundaries of Human Life between Biomedical Explanation and Lived Experience“ (GRK 2015/1) and cooperated in the foundation of the Obama-Institute for Transnational American Studies at Mainz as a forum of exchange with the universities of the state of Rhineland-Palatinate, the Atlantic Academy and international partner universities, serving as the spokesperson (2017-18). I am working on a book project on ChinAmerica: Maoism and Cultural Revolutions, on a monograph of Cynthia Ozick and a commissioned biography of Al Capone. My latest publications are: “ChinAmerica: Global Affairs and Planetary Consciousness.” American Studies as Transnational Practice: Turning Towards the Transpacific. Ed. Yuan Shu, Donald E. Pease. Lebanon, NH: Dartmouth College Press, 2016. 340-64; the Chinese translation of Ecology and Life Writing, transl. Lin Jiang [生态学与生命写作 : 中国社会科学出版社] (Peking: China Social Sciences Press, 2016); Obama and Transnational American Studies (Heidelberg: Universitätsverlag Winter, 2016); Jack London: Abenteuer des Lebens (Darmstadt: Lambert Schneider, 2016); “Ecology and Life Writing.” Handbook of Ecocriticism and Cultural Ecology. Ed. Hubert Zapf. Berlin: De Gruyter, 2016. 334-48. I am the general editor of American Studies: A Monograph Series on behalf of the German Association of American Studies (GAAS), an editor of Amerikastudien / American Studies, and of The Journal of Transnational American Studies (Stanford). I am on the editorial board of a/b: Auto/Biography Studies (Routledge), The European Journal of Life Writing (Amsterdam), Atlantic Studies (Routledge), Contemporary Foreign Literature (Nanjing). 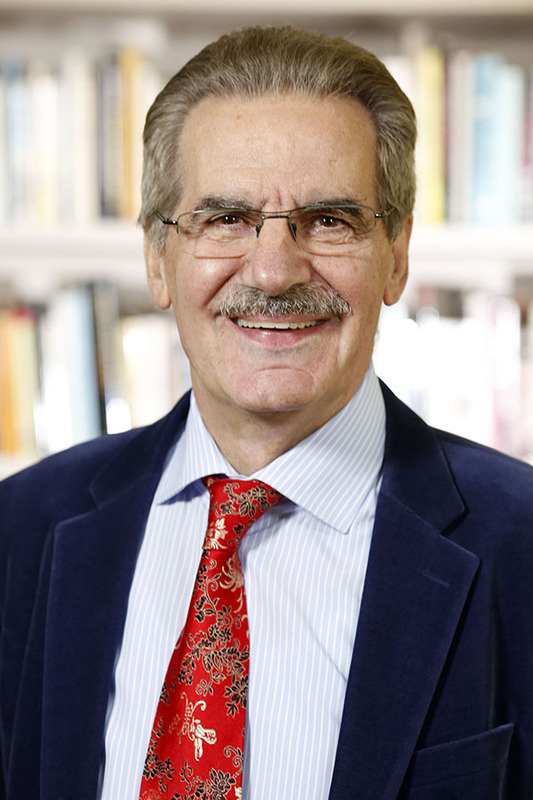 I am a Founding Member and on the Board of the International Auto/Biography Association (IABA), Founding Member and Vice President of the World Ecological Organization (Beijing), Honorary Director of the Center for Intercultural Studies (Mainz), a member of the Scientific Advisory Board of the Ludwig Boltzmann Institute for the History and Theory of Biography (Vienna), a member of the Advisory Board of the Institute for World Literature (Harvard University), a Fellow of the Center for Cross‐Cultural Studies (Peking University). In 2013 I received the Carl Bode-Norman Holmes Pearson Award for Outstanding Contributions to American Studies of the American Studies Association in Washington, DC; in 2014 I was elected a Member of Academia Europaea: The Academy of Europe (London). I have taught courses at various American, Canadian, European and Chinese universities on all aspects of American Studies with a special focus on transcultural and transnational relations and life writing. I am dedicated to advancing international education and establishing bi- and trinational degrees with American and Chinese universities. I also emphasize the importance of pragmatic approaches and the practical application of academic learning to prepare for a professional life after school. Please note: No office hours on Feb 12.